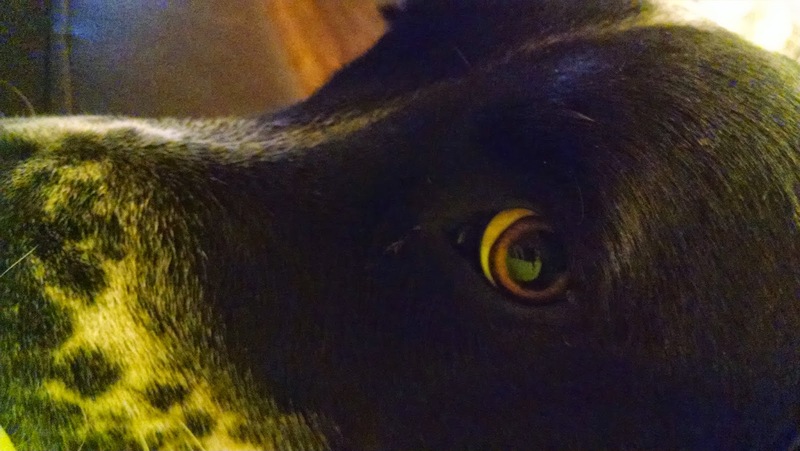 RUNNING WITH OLLIE: My Four Paws Pacer: Can running with your dog make you faster? 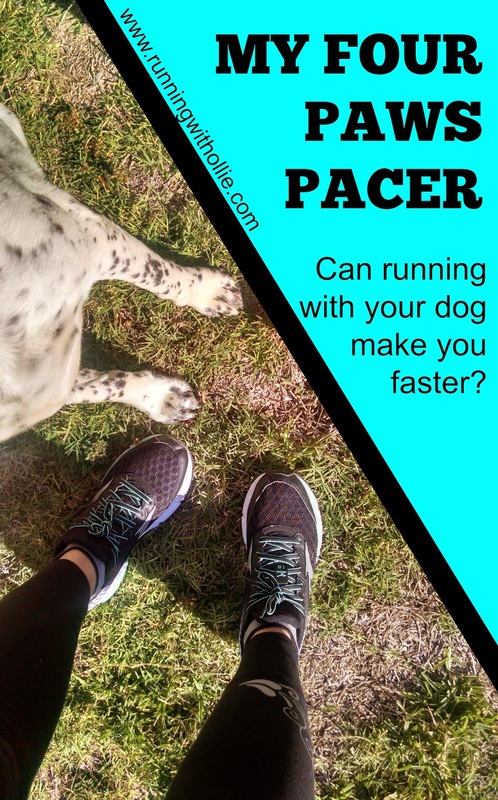 My Four Paws Pacer: Can running with your dog make you faster? Can running with your dog improve your pace? The inspiration for this post came from two places. The first was an entry in the My Running Partner has Four Legs link up party where the Car-Free, meat free runner wrote about his faster running times when running with his dog. The second came after I ran with this brown-eyed guy, for the first time in a long time. 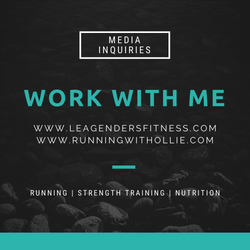 Truth be told, even though this blog is called Running with Ollie, I haven't been running with Ollie much lately. Mostly because the summer temps in Texas are too hot for Ollie. They are too hot for me too, but I can suffer though it. I don't want to force Ollie to suffer, so we go most of the summer without running together. His safety comes first. His dad takes him for a two mile walk every single day, so I know he is still getting his exercise and quality time with his owners parents. Then it simply became a habit to run without him. 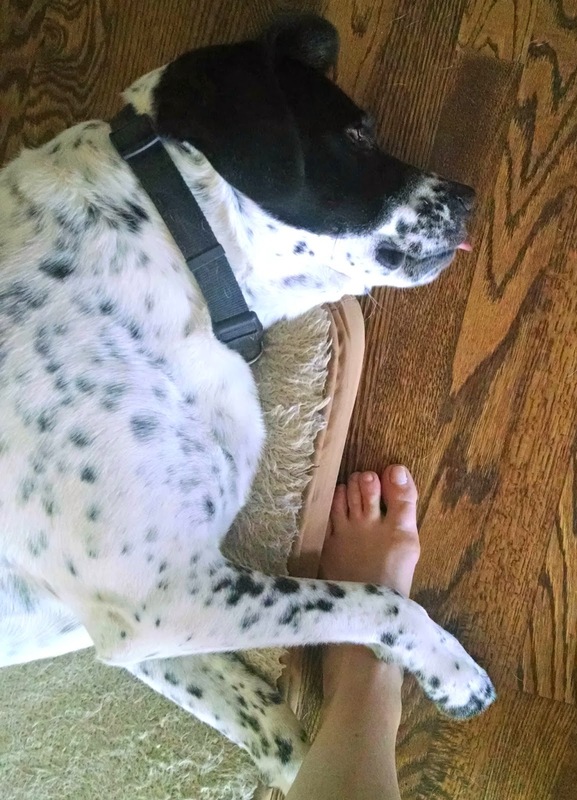 He eventually got accustomed to staying home when I ran. Gone were the days when he would hear the first beep of the GPS watch and would go crazy. Gone were the days when the act of putting on my running shoes threw him into a frenzy. He learned over time that it was his dad that would take him out every day for his daily walk (and I would join them on the weekends). Today I was feeling a little lot unmotivated. The weather wasn't cooperating. There was a very light mist outside. It was cold and dreary. There was no chance the sun would make an appearance. I was feeling a strong pull towards Sunday laziness. It would have been easy to take another day off, but I knew I wanted to put in a few miles today. I slowly started changing into my running clothes. First my running tights and shoes. I wore those around for awhile. Then later I changed from my regular favorite Pittsburgh Steelers sweatshirt to my wicking running jacket. I figured if I was at least dressed, I was half way there. It was go time. I hit start on the GPS watch to sync the satellites and Ollie's ears perked up at me. The look in his eyes showed he remembered what that beep meant, even if he knew that it didn't mean much for him. I made a swift decision. "Let's go!" and with all the enthusiasm that you can expect from a dog getting ready to go on a run, we were out the door. How can I channel that same enthusiasm, every single run? We took off down the road along our usual route. Ollie was fast. I forgot how fast. He isn't the most well-trained dog, we have some work to do (but he makes up for it in cuteness). He pulled me along my first mile and I finished it one minute faster than usual! That is quite an improvement in pace. My breathing was certainly more labored than usual, but I wasn't dying. Maybe I am not pushing myself hard enough? This was a pace I felt I could sustain for a short run. I finished the 2nd mile at a similar pace (save the time lost for stopping to tie my shoe. AURGH!). 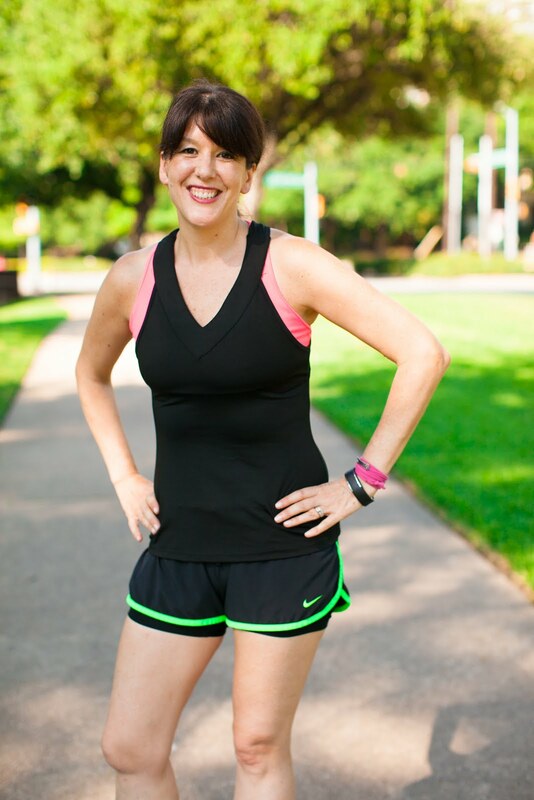 Then during my final mile, I had a short exercise-induced asthma attack (that is usually brought on by labored breathing) that killed my pace during my third mile, but my overall pace including the stops and asthma attacks still was between 30-45 seconds faster per mile than my last run. Ollie makes a great pacer for tempo runs! 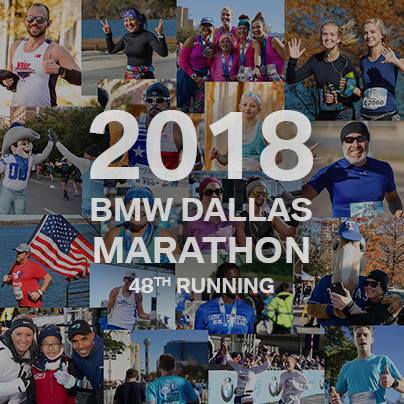 I sure wish I could bring him with me to the Fort Worth Turkey Trot in two weeks, but I learned last year that is a terrible terrible (did I mention terrible) idea. Now that the weather is cold, My four paws pacer will be joining me for a few runs each week. It's time to rekindle that running relationship with Ollie. Ollie shows his gratitude with a sweet leg hug. I need a pedicure. Do you run with your dog? Do you find that you run faster verses running alone? 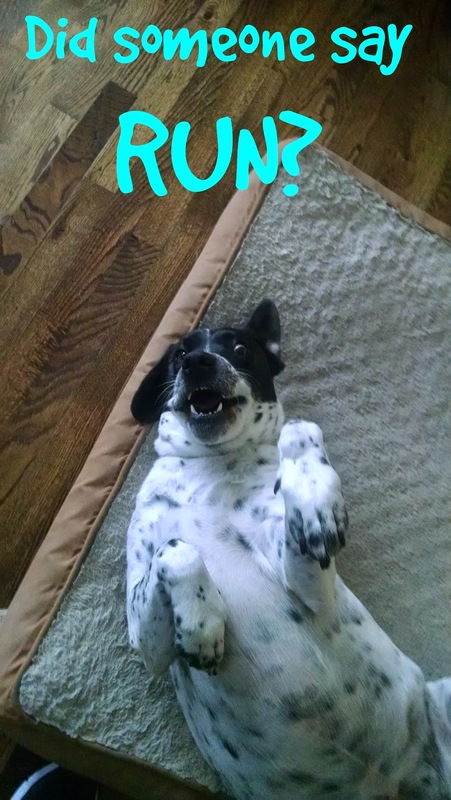 Or is your dog more well-behaved than mine? My dog makes me run slower. :( All that pooing and peeing and sniffing. LOL - Ollie is terribly unfocused during walks, but for some reason when he starts running he gets in the zone and is so focused! well, except if he sees a cat or a bunny or something.